How many visitors have left your site never to return after clicking on one of your links to an external webpage? How many times have your visitors got lost on your site when trying to view videos or images and they forgot where they came from? How many times have you had to give up the URL of one of your secret sites because it shows in the web browser address bar? 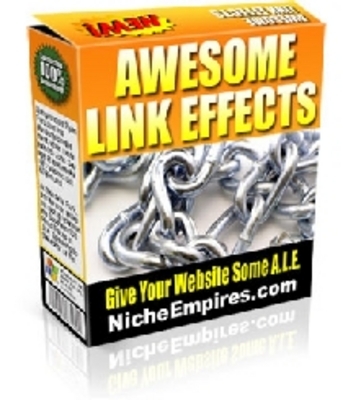 Awesome Link Effects Website Script With Master Resale Right awesome link effects;link;script 132323066 4.99 doctoranswers Fresh Download Available!